Karman Healthcare has been a leading innovator in the wheelchair manufacturers industry and distribution of home medical products since 1994. 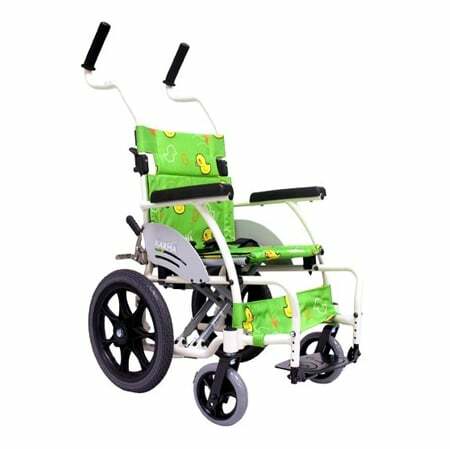 Karman provides a full line of wheelchairs, walkers, rollators, power wheelchairs & scooters, stand-up wheelchairs, oxygen regulators, bathroom safety and other home care products. Most Major Wheelchair Manufacturers such as Drive, Invacare, Sunrise Medical and others started out providing wheelchairs. Wheelchair manufacturers throughout time have developed their business with production focused on multiple areas of DME and HME. Karman started producing wheelchairs in 1994. Our manufacturing capabilities have expanded throughout the years. We have continued to develop each wheelchair category and we are a brand fully committed to wheelchair technology. Like other industrial manufacturers, wheelchair companies come in many different forms, in both scale and production. There are larger wheelchair manufacturers, small specialized regional factories, and new import companies hoping to make a name for themselves. Prior to purchasing or during your selection process, it is important to learn about the details of each company to gain background information and make an educated purchase. 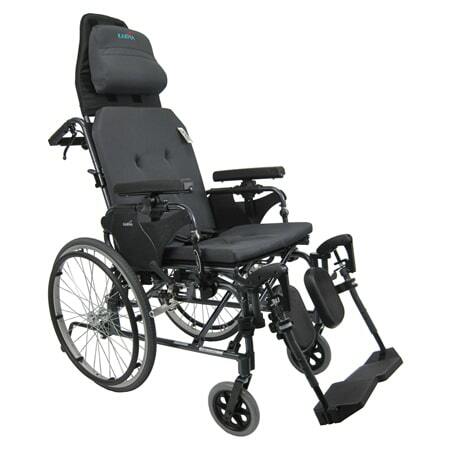 As you start the process of shopping for the right chair, you will easily run into brand names which may seem like the largest manufacturers of wheelchairs and accessories such as: Invacare, Drive Medical, Sunrise, Quickie, Medline. These large companies employ hundreds of people, and some are owned by parent companies with considerable financial resources. However, many of these manufacturer's core business may not be focused on wheelchairs, it is plausible that not all resources are committed to the design and manufacturing of the best possible wheelchair. At Karman, our efforts are 100% committed to manufacturing the best wheelchair possible. Taking note from ergonomics, materials types, weld methods, advanced polymer materials, and Japanese high grade steel for tool production. Greater resources for wheelchair manufacturers like Karman with all focus on wheelchairs means that we are a committed manufacturer to the mobility industry, we invest more time and resources in the research and development of wheelchair technology. We have the resources to build prototypes and better overall technology. We also fully stock all mobility categories from rollators to standing wheelchairs so you as a consumer can have access to a full breadth of products when you need it. 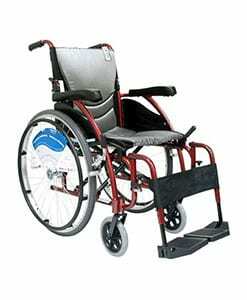 The following are additional advantages offered by large wheelchair manufacturers like Karman. 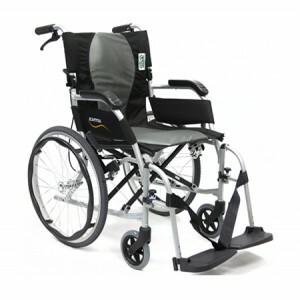 We have a comprehensive line of wheelchair products in many different categories, with plenty of options and accessories that are ready to ship the same day. We have been in the business since 1994 and for over 20 years. We have refined the manufacturing and design of wheelchairs for over 20 years through prototyping in Taiwan with small batch runs and an operatiion that extends to multiple countries after mature volume increases. We are reputable, and make wheelchairs like no one else, just check out our patents, and global support on all ERGO wheelchairs. Karman dealers will have experience maintaining and repairing chairs because we have dealers that have been in business with us for the last 20 years since our inception. Some would also argue that finding parts and service away from home is easier when your chair is made by one of the large firms, although the very complexity and vast array of options from the large producers make it impossible for dealers to carry all parts for all chairs. Whether you travel or stay at home, you are likely to have to wait for a part to be shipped. If you travel often, availability of parts is definitely something to ask about before deciding to purchase. Our website should help you determine what the right [page_title] is for your needs, you can find information about [page_title] by looking at our navigation bar to the left, which includes many different wheelchair categories and information on [page_title]. Below the categories on the left sidebar, you can also visit our social media profiles, which include twitter, facebook, google+, youtube, and pinterest. The secondary section on our website provides information about our company, it includes our about page which describes what kind of company we are and how we can help you find the right [page_title]. You can also choose to search for [page_title], through our search bar located at the top of every page. If you would like to find a [page_title] distributor in your local area, you can visit our dealer locator page, which lets you input your zip code, and gives you the closest distributors by proximity, which you can call and ask about Karman products. If you would rather purchase our products online, you can also click the shop online button which opens a list detailing our highly rated distributors online that provide great prices, raving customer service, and fast shipping times across the nation. Make sure that you ask them which wheelchair manufacturers are recommended. They will should ask you questions pertaining to your needs and make recommendations. You can register your warranty if you have already purchased a product from one of our distributors, this will help in keeping track of when you purchased the item, and we can also keep a record of it if the time comes that you need to use your warranty. Our Wheelchair Product Catalog can help you in finding the right [page_title], it provides information in a live catalog format, which lets you sift through pages and also includes a category index, in case that you are looking for a specific type of product. This is the best way to get a scope of what wheelchair manufacturers provide after 20 years of research and development. 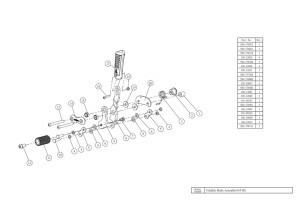 Our S-Shape Seating page includes information about our patented S-Shape Seating System, which offers many advantages over the standard manual wheelchair seat. Not only is pressure distributed more evenly across the legs and rear, it also offers a more stable seating surface and prevents forward slippage. If you have any questions regarding [page_title] be sure to check out our Frequently Asked Questions page, which includes the most popular and consistently asked questions by our distributors and also consumers. 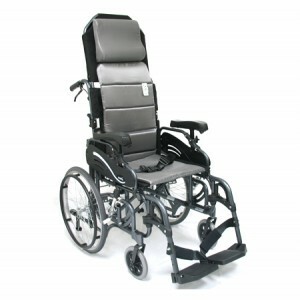 There are not many wheelchair manufacturers that provide a quality standing frame. 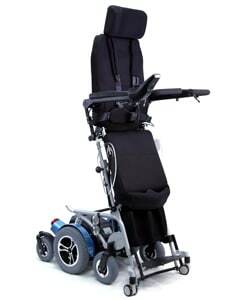 Permobil is one of our best competitors however, at a significant premium in price which is out of reach for many. 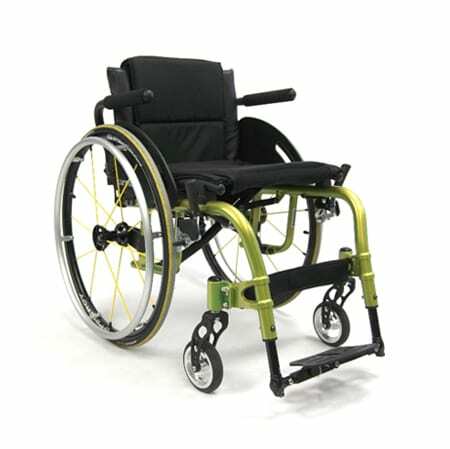 Our Standing Wheelchair Prototypes page gives you information regarding our Upcoming Standing Wheelchair models and also provides information on how we are changing the standing wheelchair market by providing affordable, and durable stand-up wheelchairs to our customers. If you would like to watch our product videos about [page_title] on your computer, you can visit our youtube channel - http://www.youtube.com/karmanhealthcare where you can find videos about all of our products including lightweight wheelchairs, ergonomic wheelchairs, standing wheelchairs, and many more. People spend a great deal of time searching for [page_title] what comes to mind is usually comfort, pricing, and daily needs. 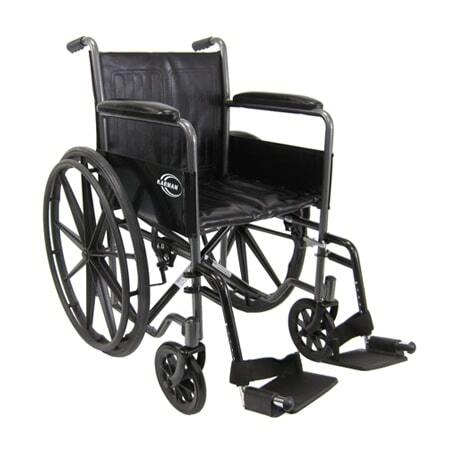 We provide a large variety of manual and electric wheelchairs, wheelchair accessories and replacement parts. We also provide other medical equipment that is used for other daily needs. If you would like to receive more information and monthly updates regarding [page_title] please subscribe to our newsletter, we do not hassle you frequently with our newsletters, we do it in a timely manner. If you would like to contact us regarding inquiries, information, or any other questions regarding our products, we recommend using the Contact Us page that provides a mail form you can fill out to send to us directly. The bottom of our website includes information about our category pages, it also includes information on internet browser support, returns policy, and warranty policy. 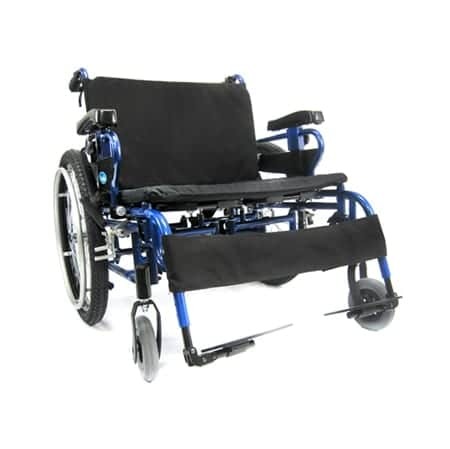 You may as well check out our wheelchair resources page, which includes information, and .pdf documents about our large range of wheelchair models and medical equipment. If you are looking for news and articles about the industry and current news around the globe, check out our News and Articles Page. Call us today if you don’t find a feature that you’re looking for. Often there are many options and accessories available as an “add on” accessories to your perfect manual wheelchair. At Karman, we try to “bundle” and include as many beneficial options to all of our chairs so that the mobility experience can be enhanced to its fullest. We hope you enjoy our vast selection of mobility equipment. It is important that our service starts with your perfect wheelchair in mind. We often believe that the service must be continued to even after you have had the wheelchair for a long time. This is our commitment to "EXCELLENCE" as should be in all wheelchair manufacturers. Our commitment to excellence is important to us. What it means is that your total experience must be second to none. To achieve this, we must put our best forward. We often recommend our very best products. This may be an ultralight wheelchair. Or an Ergonomic wheelchair. But the best is typically different to all users. Some may judge by colors. Others may judge by warranty or price. We try to cover as many aspects as possible. 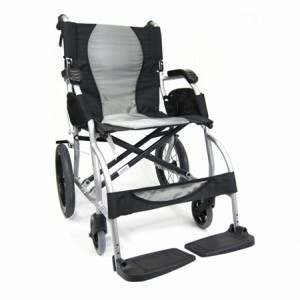 You will find products that have the ultimate technology such as standing wheelchairs. Or you may just need a simple walker to help you with your every day living. Whatever is the case, Karman is here for you. Please check out all of our category products. Consult with a dealer or just call us. 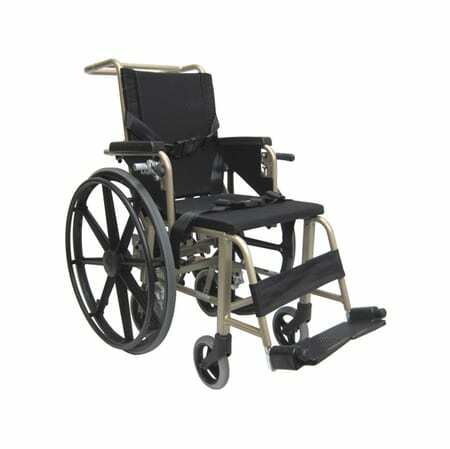 Manual wheelchairs are our specialty which may not be the case for all wheelchair manufacturers. Manual wheelchairs provide users with the mobility to propel themselves. They also allow a caregiver to assist in mobility. We have spent over two decades designing wheelchairs and manufacturing them in our state of the art facility. 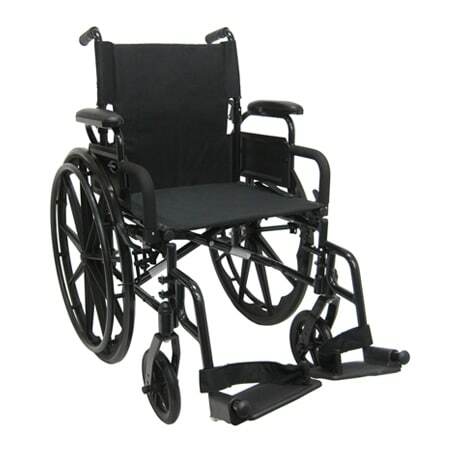 Our specialty is lightweight manual wheelchairs. They are typically under 30 pounds. But we also have some that are under 25 pounds. Even under 20 pounds. Being lightweight really helps both caregivers and also users. The benefits are tremendous. From ease of transporting to ease of propelling. You will find so much value in our manual wheelchairs. If this is your first time looking for a manual wheelchair, you are at the right place. After comparing many wheelchair manufacturers, it is apparent that Karman is committed to solely mobility products. Wheelchairs "R" us! There also also other sites you can reference with good information such as Wikipedia. That will give you a history of it. We are here to provide you with information on our products. Finding a manual wheelchair is one of the most important investments. You can search by many factors. Some look at price. Whereas others look for weight. Everyone has a different preference. But what is most important is for us to learn about you. Do you travel often? Do you sit on the wheelchair more than 2 hours a day? Some people have loved ones with severe medical conditions. For these people, is the most expensive recliner wheelchair better? Or is a tilt in space wheelchair better? These are all very valid questions. Most people do not know of all the technology available for the wheelchair community. All DME experts like local dealers knows answers these questions. We certainly do. That's why we only have certified Karman dealers selling our products. Manual wheelchairs comes in all kinds of shapes and sizes. Some manual wheelchairs go as high as 30" in with. Other manual wheelchairs are only 14.5 pounds in frame weight. In today's word, we have selection. Not all brands have a wide selection. But Karman does. We have it all. Take a look at our product videos before you buy. Our videos will give you even more information. This includes showing how a product folds. Or how to tilt a wheelchair. We have short videos and long videos. Check it out on youtube.com/karmanhealthcare. Subscribe to our channel. We always have new videos made. You will be notified. There are also other channels made by wheelchair manufacturers and it is also a good resource to check out. We try to keep all our product information videos under 1 minute so that you can easily gain information on each unique product. It's also very important to learn about who will service you. Buying a wheelchair is easy nowadays. You can buy online easily. Our dealers typically offer free shipping. This means you won't have to leave your home. But make sure that you have a good service. You should call us. Or call your dealer. We always make recommendations to our customers. We started the business in 1994 producing manual wheelchairs. Manual wheelchairs have evolved so much since then. 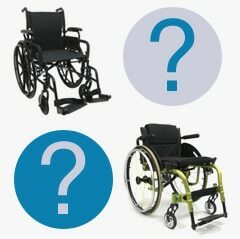 Categories that fall under manual wheelchairs includes: weight class and product type. Manual wheelchairs generally have 3 different weight class. Standard weight, lightweight, and ultralight weight. Not all large brands for wheelchair manufacturers are able to offer such a wide range of categories beyond the basics of standard and lightweight. A good manual wheelchair may not be just by weight. Manual wheelchairs also have categories. This includes bariatric or even recline or high back. The category of wheelchairs often depend on your user. Is there a medical condition? How does the user perform daily activities? Is the user independent? We have manual wheelchairs made for active users both young and old. All age groups may use manual wheelchairs. It is important to first use a measurement guide. Proper fit is the most important. A manual wheelchair should be an extension of a persons body. Then we focus on comfort. Is the person now comfortable? Is there proper ergonomics? Is the person prone to slouching? Just like a normal person sitting on a desk at an office. Proper ergonomics is very important. After we have narrowed down those things, it's easier. We can then ask what products offer more benefits? Is there a lighter model? Or does the customer wish to save some money? Some manual wheelchairs are only temporarily used. In this case, our experts may recommend to stay in budget. Other manual wheelchair users demand the best. There is nothing wrong with this. You want the best? You can get the best. We do offer many upgrades. It makes sense to us. Having a canopy or headrest does add cost. But at the same time, it makes you more comfortable. That's important to us. To find the perfect fit for you. Some users want a softer ride. Others know that a good seat belt is important. we sometimes get customized requests. That's great! We want to help. It just takes good communication. Make sure to tell your dealer what you are looking for. What is important to you, may not be important to others. You never know. Everyone is different. We have customers of all ages. Only good wheelchair manufacturers can tackle this through multiple categories and age variance. Not only that, we have customers with different conditions. We know that good manual wheelchairs, improves people's lives. That is why we have over 100 models. You can have one delivered to your door next day. Most of our dealers offer free shipping. Some dealers even offer 2 day free shipping. But other dealers offer a personal service. Personal service may be invaluable. Each dealer has a special offer for the end user on a Karman product. We specialize in manual wheelchairs. But it is really our dealers that makes our products even better. We hope that all this information has helped you narrow down which wheelchair manufacturers are best for your support in times of mobility needs.